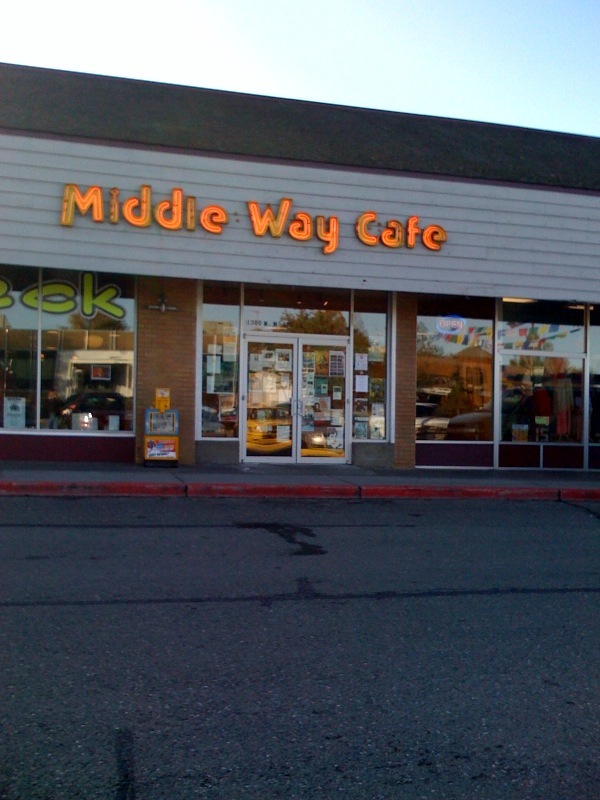 If you happen to be looking for the best sandwiches for lunch (or dinner) in all of Anchorage, Alaska, the Middle Way Cafe is the place to be. Service might be a little slow some days, but the food is worth the wait. And since they moved into their new digs, they have plenty of room if you do have to wait. The coffee is good too. If you've been to the Middle Way Cafe before, fear not, they haven't moved too far. They're actually in the same parking lot, off Northern Lights Blvd., just a little ways down from their previous location. The extra new space is fantastic -- just what they needed. Quick follow-up: I came back to the Middle Way Cafe again this morning (Saturday morning) for a cup of coffee and to post several blogs out here (they offer free WiFi access) and I've watched the breakfasts roll by. They look fantastic too!